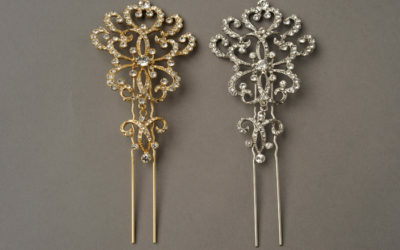 Available in gold only, these 2 floral combs are connected by a single Swarovski swag. 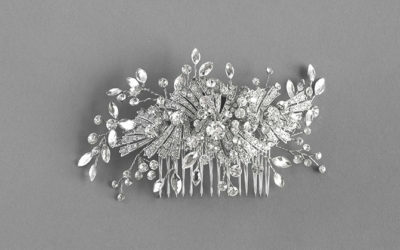 This captivating piece can be worn with the swag across the forehead, or around the back to add dimension to any hairstyle. 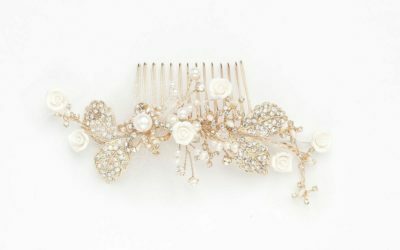 A perfect size comb to mold around a chignon or loose up-do. 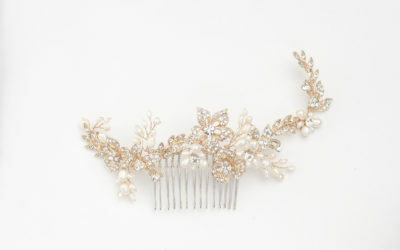 Light, airy, gold floral and vine components with Swarovski crystals and fresh water pearl branches. 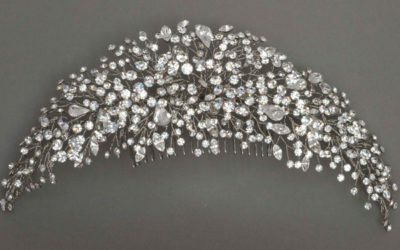 A 3 dimension hand wired crystal comb with bendable sprays. 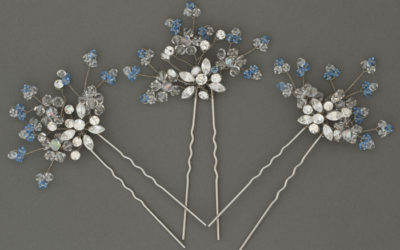 Ask about our custom color hairpins to suite your theme – we can add any color to the handmade hairpins! 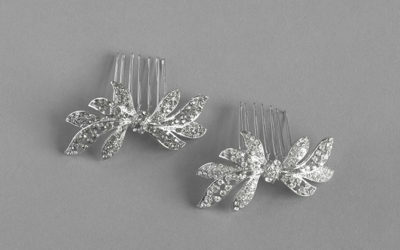 Abstract style handmade comb of crystal sprigs densely clustered together to offer maximum sparkle for a statement back/side piece. 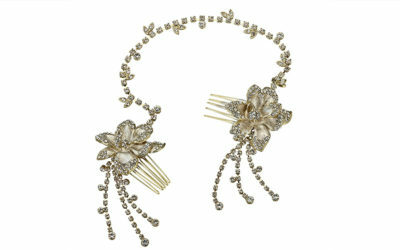 It can also be opened up into a circle to highlight a chignon or loose bun. 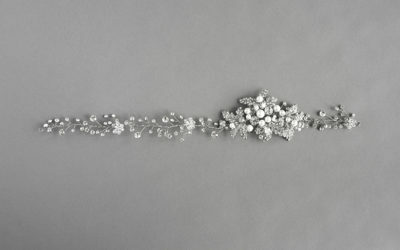 Imagine a breathtaking flower growing wild in the forest..saturated with crystals. 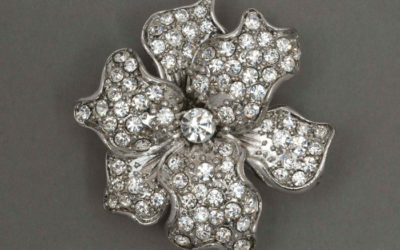 This piece is featured as a barrette. 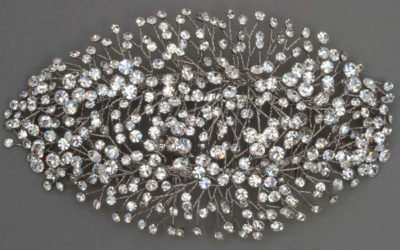 Best seller... also available as a brooch. 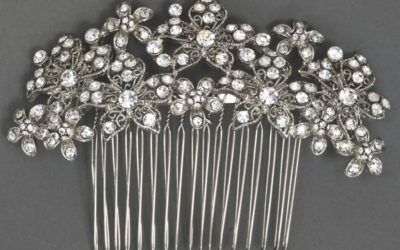 Lattice wildflowers galore on a statement comb, perfect for an accent for a dramatic sidesweep hairstyle.